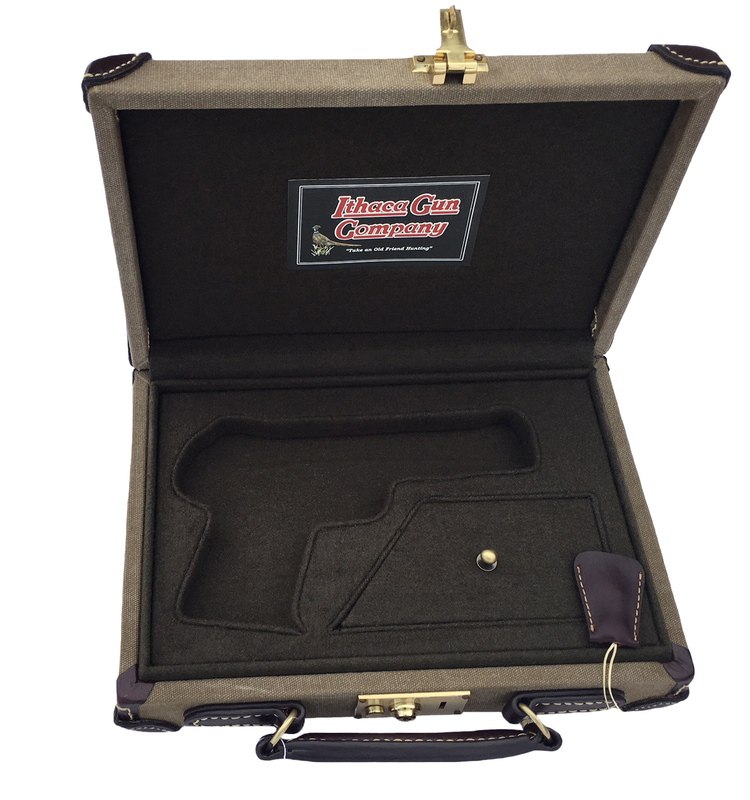 Hard Sided Canvas Pistol Case - Ithaca Gun Co. 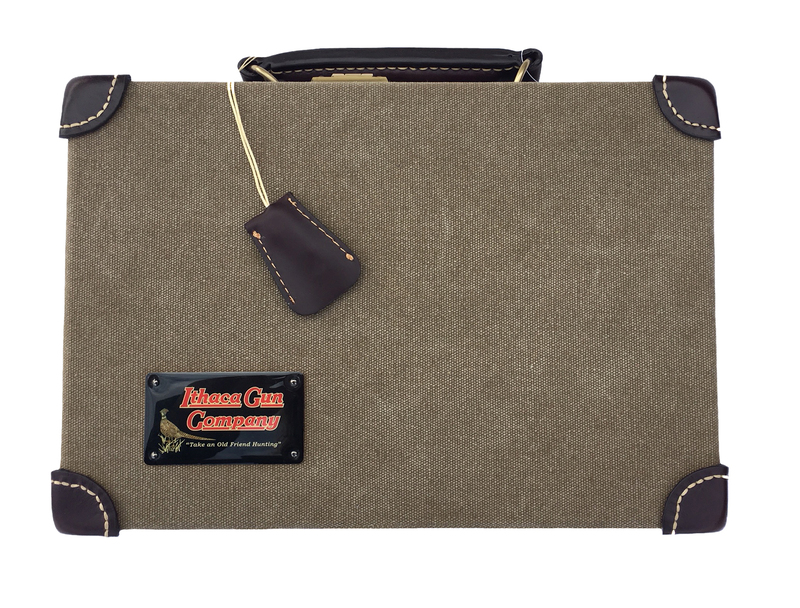 Weather resistant Canvas covered Pistol Case with genuine leather corners stitched through wooden body. Resilient flannel interior with Ithaca Gun Logo.